Biometrics are slowly infiltrating the products we use on a daily basis as being a more secure way to authenticate who you are by using something that's unique to you. I, for one, use my fingerprint to unlock my cell phone and my laptop. Pretty soon, we could use biometrics with our credit cards, as both Visa and Mastercard have announced steps that move us closer to biometric authentication. Visa has recently announced a pilot test of biometric authentication, which will look at using fingerprint recognition as an alternative to PIN or signature authentication. Through its Visa Ready for Biometrics program, the company is piloting EMV dual-interface cards that are chip- and contactless-enabled and also have a sensor for fingerprint authentication. 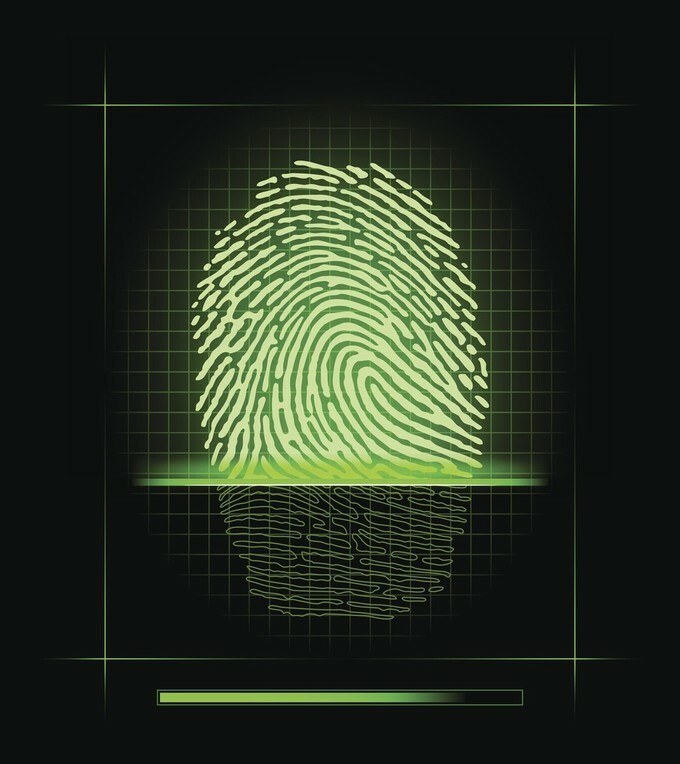 To enable biometric authentication, a cardholder has to store a fingerprint on a template in the card. When they use the card, they put their finger on the sensor, and technology within the card compares this fingerprint to the stored version. If it's a match, a green light lights up. A red light signals no match. "The world is quickly moving toward a future that will be free of passwords, as consumers realize how biometric technologies can make their lives easier," said Jack Forestell, head of global merchant solutions, Visa Inc., in a statement. "As electronic payments expand dramatically around the world, Visa is committed to developing and investing in emerging capabilities that deliver a better, more secure payment experience." Besides the added security, Visa is touting other benefits of biometrics, such as speed of contactless payment transactions and having authentication within the card so that merchants don't need any special terminals. It's also talking up the benefit of not needing PIN or signature authentication, even though the company's removing signature authentication requirements this spring. The pilots are taking place at Bank of Cyprus and Mountain America Credit Union, which is based in Utah. Mastercard is also expanding its use of on-card biometric authentication. Last year it ran trials in South Africa to test a biometric credit card with a thumbprint sensor that cardholders used when they dipped their card into a terminal. Now it's expanding its biometric tools to Europe. The credit card company said that consumers in Europe would be able to use fingerprints or facial recognition to identify themselves by April 2019 so that banks can comply with a new EU regulation. This would apply to both transactions with credit cards and transactions with mobile devices. "Biometric technologies perfectly meet the public’s expectation for state-of-the-art security when making a payment. This will be of great benefit to everyone: consumers, retailers and banks. It will make the purchase much smoother, and instead of having to remember passwords to authenticate, shoppers will have the chance to use a fingerprint or a picture of themselves," said Mark Barnett, president, Mastercard UK & Ireland, in a statement. Mastercard is using its Mastercard Identity Check service, which is currently available in 37 countries, for its biometric authentication program. It allows cardholders to use fingerprint, iris and facial recognition to identify themselves. They can then use their biometrics on mobile devices for online shopping and banking. Both Visa and Mastercard have found that more consumers are looking to biometrics as a good security measure. In a study with Oxford University, Mastercard found that 93 percent of consumers and 92 percent of bankers were for biometric adoption. In the US, a Visa study of 1,000 Americans showed that 86 percent were interested in using biometrics for payments or verification; 70 percent thought they were easier to use; and 46 percent thought they were more secure than passwords or PINs. Just how quickly biometric authentication will spread remains to be seen--after all, it took years for EMV technology to hit the United States--but because these solutions don't require merchants to buy new terminals, adoption of this security measure may happen much more quickly.